The 52nd Annual Buffalo Soldier Memorial Ceremony was held at the United States Military Academy at West Point, NY on Sunday, September 1, 2013. 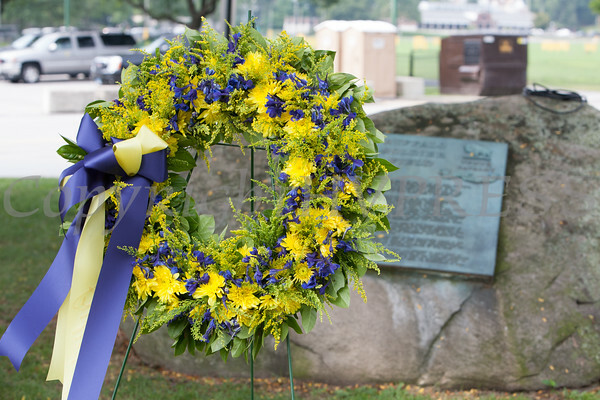 A wreath is placed at the Bufalo Soldier plaque every year by a Buffalo Soldier during the annual memorial ceremony at the United States Military Academy in West Point, NY at Buffalo Soldier Field on Sunday, September 1, 2013. Hudson Valley Press/CHUCK STEWART, JR.